My youngest brother was in town for a few days recently and he told me that he’d like to go and see Burj al Arab, the one and only 7-star hotel in the world. I told him it’s not a problem because it’s quite near to the hotel he was staying at but he would however have to fork out some money if he wants to go inside the hotel. To my surprise, he said, “Okay, no problem. It’s probably going to be a once-in-a-life-time thing anyway”. Now don’t get me wrong, I’m not saying that he’s a cheapskate (although I do think that he probably is, LOL! Sorry, bro! LOL!) but all the guests that I have had before are happy to just take a photo of themselves posing on Jumeirah Beach with the hotel in the background. Anyways I thought I might as well have a go at it while he’s here although I’m a bit concerned about spending so much money for so little food. So I made the call to the hotel to make a reservation for two, for an afternoon tea on the next day at one of the restaurants there. That’s one of the cheapest options to get inside :-). Was asked a few questions, e.g. if it’s a special celebration, an anniversary or a birthday or anything, to which I answered, “No, we thought we would just have some tea at the hotel tomorrow”, trying to ahem.. ahem... make it sound like we have tea at the hotel every other day ;-) In hindsight I probably should have just told them that we’re both celebrating our birthday so that we might just get some extra birthday cakes thrown in and see also if they can come up with an orchestra playing us a “Happy Birthday” song while we’re there... but then, that would be lying, wouldn’t it? :-) I received a text message and an email from the hotel almost instantly, confirming our reservation (with a reservation number which we have to use to pass the hotel security even before crossing the bridge), and advising us on the dress code (which is smart casual, meaning no t-shirts, no shorts, no jeans, no flip flops, no sandals, and no sneakers. Sounds like fun, eh?). Now if you have heard of Burj al Arab before, which I’m sure 95.872% of you have, you’d probably know that this shaped-like-the-sail-of-a-ship hotel is a 7-star hotel built on a man-made island not that far off into the sea from Dubai coast. It was the tallest purposely built hotel in the world until not so long ago when it was overtaken by another hotel in Dubai. Despite the well known 7-star rating, the hotel apparently is actually a 5-star deluxe hotel. 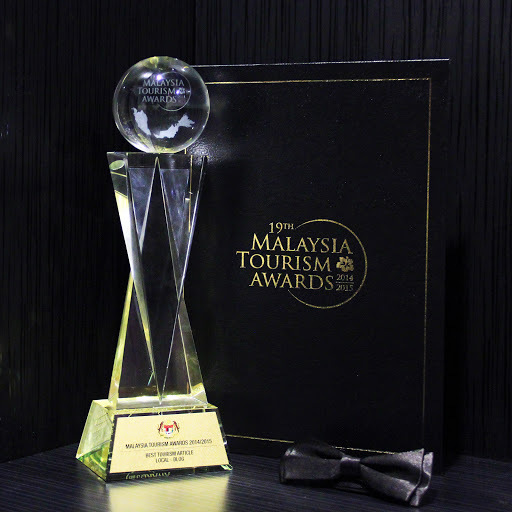 I have read somewhere before where they said that they have never made any claim that they are a 7-star hotel (there is no such category in the first place) although at the same time (and probably in the same breath) they said that they’re not going to stop anyone from saying that it is a 7-star hotel. Well, 7-star or not, Burj al Arab, here we come! View to the left of the bridge crossing towards Burj al Arab is that of Jumeirah Beach, Dubai Media City, Dubai Internet City and Jumeirah Beach Residence. Turning around, this is the view of the lobby and another restaurant. We then proceeded to take an elevator down one floor to Junsui Asian Restaurant. Crackers. Believe it or not, there's kerepek binjai somewhere in there too! Assorted home made dim sum. Apparently these home made dim sum are imported all the way from Singapore! Korean barbecue chicken wings takoji. Back to the upper lobby area before leaving the hotel for the beach﻿. The answer is YES, perhaps for a certain special occassion or a once in a life time experience (even if it's without the birthday cakes). As noted above, we had our afternoon tea at Junsui. 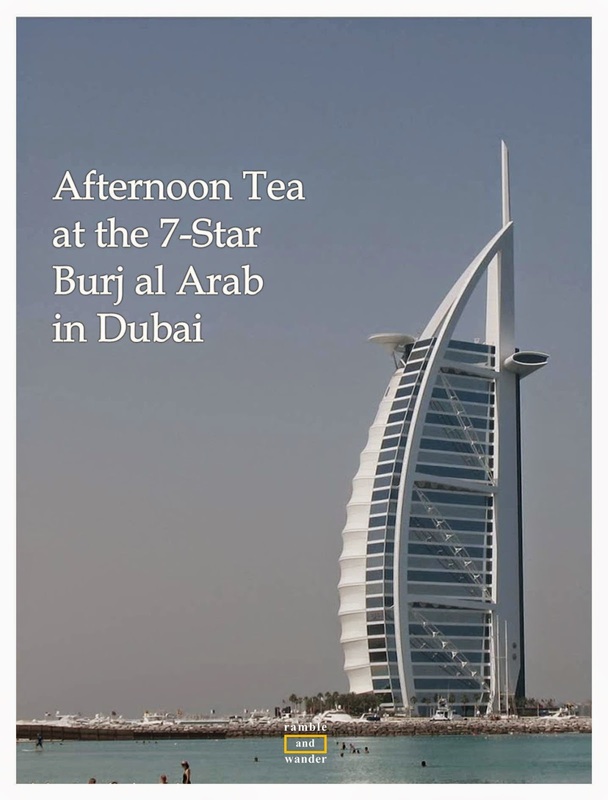 There are actually a few other afternoon tea options available at Burj al Arab and you can find out more about them (including how much each is going to cost you & how to make the reservation) here. Going to Dubai, UAE? Do check out these Dubai hotels for your accommodation requirements there. For other www.RambleAndWander.com postings on the UAE, click here. Enjoyed reading detailed story from start to end! Like this page the most from yr blog. What a great writing! KShakie, sekali sekala kasi org kebuluq, eheh! Cheapskate. Lol. How much does it cost to have a decent meal inside the burj Dubai ? RM thousands ? For the above afternoon tea "set meal", we each paid AED275/ MYR240/ GBP50/ EUR60/ USD75 but this was last year in May 2011. You can click on the link given to check the latest price. This was the most descriptive post I have seen for the Junsui afternoon tea so far. Great pics! 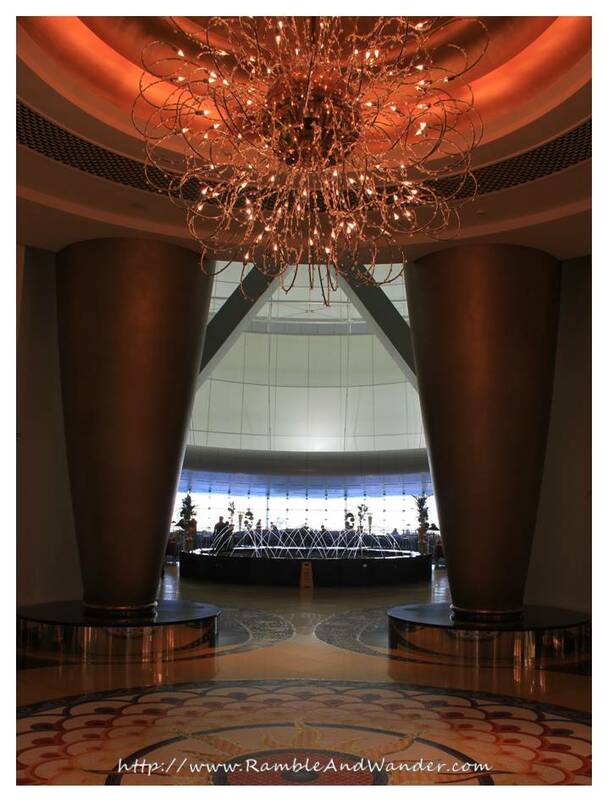 I want to go again Crown Plaza which is situated in Dubai. Last month we stayed Dubai for about 15 days and we took our dinner at Crown Plaza. You know their teppanyaki, salads were really awesome and also delicious as well which we ever ate. Hope in near future we will go again there.